TRX is a form of suspension training that uses body weight exercises to develop strength, balance, flexibility and core stability simultaneously. It requires the use of the TRX Suspension Trainer, a performance training tool that leverages gravity and the user's body weight to complete the exercises. Come try it out on any Monday, Tuesday or Thursday this semester, in Mountaineer Field House Activity Room 3. Undeniably, TRX class is the best suitable training for the increase in strength and core stability. Your arguments are looking very appealing and https://top5writingservices.com/samedaypapers-com-review/ for me. So, I have decided to attend TRX class next time and I will try to gain some basics of TRX training. 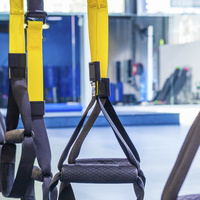 The suspension training and increased the exercises to develop the strength and developing more concepts and essential https://www.bestassignmentservices.co.uk/ services. The excluding more membership accommodate particular things.